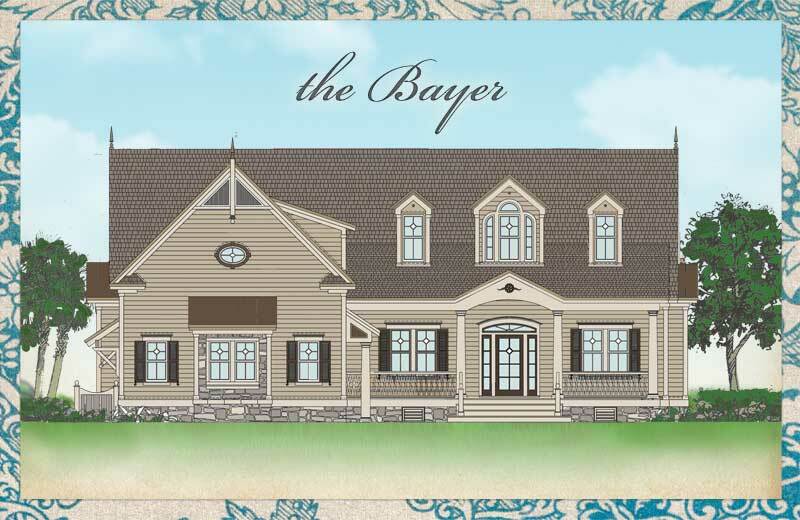 A traditional Low Country exterior design helps define the beauty of the Bayer. In addition to an expansive front porch with elegant columns, lovely decorative accents highlight three dormers. The backside covered porch, flanked by a screened porch for extended living, is perfect for relaxing and entertaining outdoors year round in our mild Carolina climate. 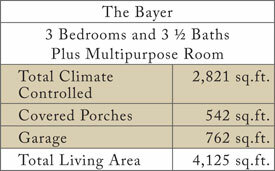 A pair of spacious guest suites share a bath inside, and the master bedroom suite opens up to the rear porch. 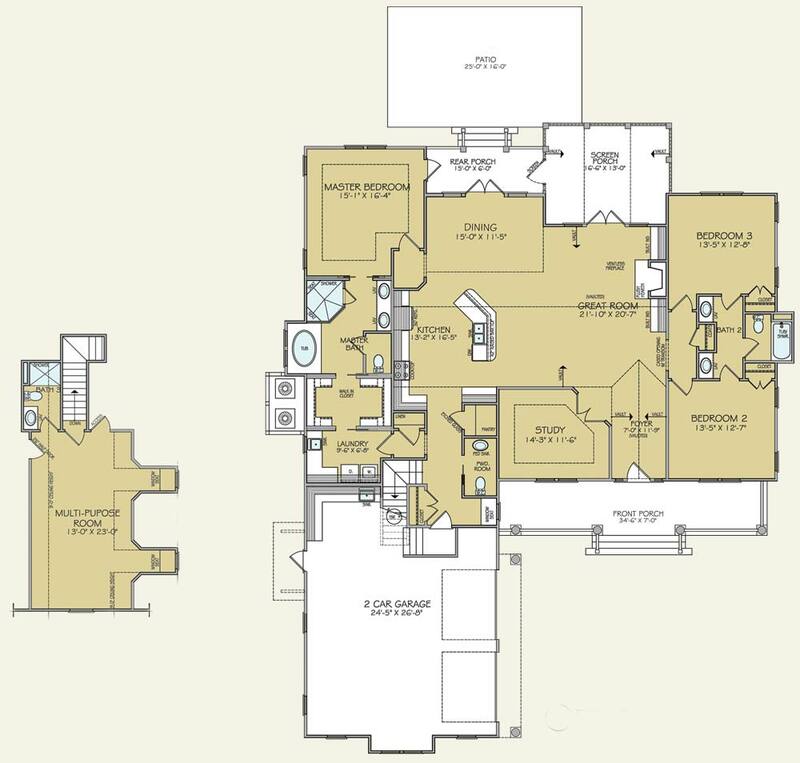 While the study is private, family living is encouraged by the free-flowing kitchen, dining and great room area. A multi-purpose room above the courtyard-entry garage adds great additional space and options for a craft room, game room, home office, or den.